Key / Reboot to automatically restart if it is required. Key / S to completely silent install with no windows and messages. Case is significant. Key / Silent passive installation – you can see the progress, but the installation is fully automatic. Key / IE11 for installation of Internet Explorer 11 and its localization. Key / Temp = allows you to specify a temporary working directory. He does not have to be empty, but must exist. Key / NoSpace allows you to skip checking free space on the system partition is not recommended. Key / WimFile = specifies the location of wim-file, you must specify an absolute path. Key / Index = indicates an index system wim-file for each index is necessary to perform the integration again. Key / Index = * allows you to integrate in turn updates all indexes wim-file. Before specifying the index is useful to execute the command: Dism / Get-WimInfo /WimFile:C:\install.wim (replace the path to your own). Not all updates can be integrated (see table), but they do not affect the safety of the system. You can automatically install SP1, if it is not installed on your system. To do this, place the files Windows6.1-KB976932-X86.exe and Windows6.1-KB976932-X64.exe in the same directory with the set. 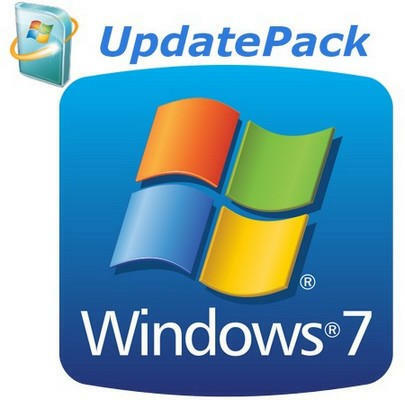 If there is a set of UpdatePack7R2Start.cmd – it will be done before installing the updates, UpdatePack7R2Finish.cmd – after installation, UpdatePack7R2Wim.cmd – after the integration of updates. By default, the console window will be displayed. To hide them, the first line in the cmd-file must begin with ": hide" (without the quotes). An update rollup monitors the exit code of cmd-file, in case you need to reboot. This code is 3010 (3010 exit command). If you want to apply your tweaks after you install Internet Explorer 11 on a working system, locate the folder with the file set ie11.reg and it will be imported automatically. Some keys can be replaced by the renaming of the file set. So to install IE11, you can add the word "ie11" in any place of the file name set, "-" for the automatic reboot and "++" passive installation. The size distribution (wim-file) will be increased by the size of installed updates. Integrated update can be removed, even after installation. It is recommended to unload from memory resident antivirus monitor for the duration of the set. A detailed log of the updates is in the file% WinDir% \ UpdatePack7.log.